Somehow, I've always loved Puss In Boots. 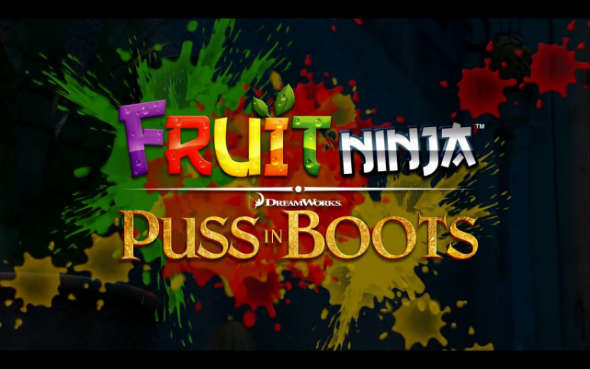 The movie is debuting on the 28th of October; and if it wasn't enough, the awesome, one of the most lovable character in movie history (in my opinion), decides to collaborate with one of the most popular games on our smartphones - Fruit Ninja. Surely everyone has played it, right? Anyways, judging from its trailer, Fruit Ninja certainly looks set to raise the standards, introducing even more addicting game modes and levels in order to compete against the overrated Angry Birds which arguably dominates the smartphone gaming industry. However, it is only available on Apple's iOS for now. Nothing has been said on the android version yet. I really do hope this would be a hit! What do you think?